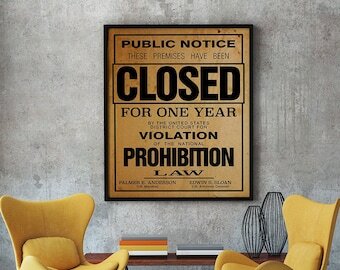 This is a faithful reconstruction of a sign from the era of prohibition, a nationwide constitutional ban in the United States on the production, importation, transportation and sale of alcoholic beverages from 1920 to 1933. 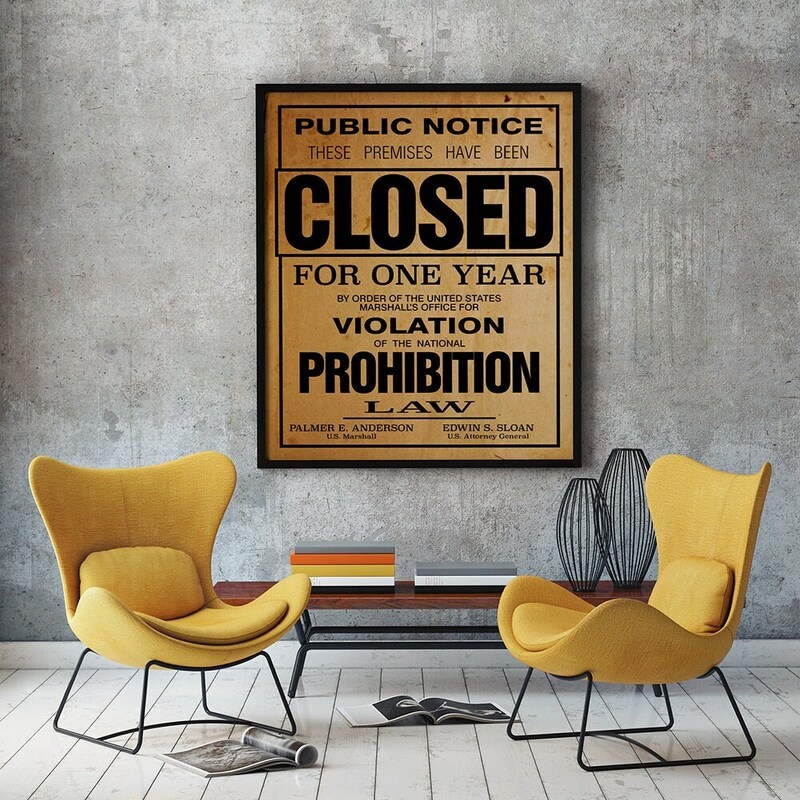 Full text reads: "Public notice: these premises have been closed for one year by order of the United States Marshall's office for violation of the national prohibition law." 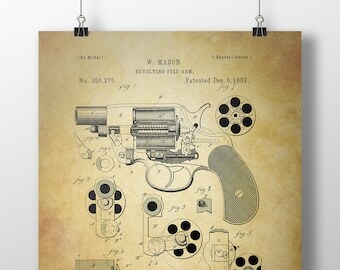 You may use these files to easily print this design either on your home printer, or at a local or online print shop. We recommend contacting your local Costco or other print studio, which can turn this image into a great frame-able print, including the option to print directly on canvas. CJprints features word art, wall decor, posters, Keep Calm signs, Eye Exam Charts, inspirational, motivational, and positive prints, vintage reproductions, original photography, typographic prints, quotes, black and white art, and more! We hope to create something special just for you. © All designs copyright by CJprints. Our printable downloads allow you to use the design as many times as you like to print and display in your home, office, or business, including public spaces, but does not allow commercial reproduction or resale. Exactly what we were looking for & a super easy download!